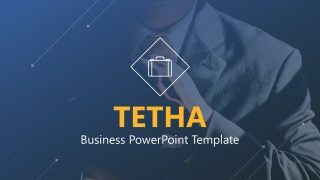 SWOT Analysis Concept Slides for PowerPoint is a presentation template to help you prepare presentations with original SWOT slide designs. 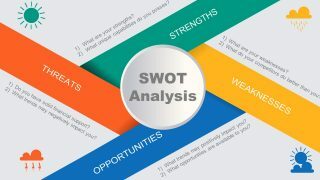 SWOT Matrix is a structured planning method worldwide used to evaluate the Strengths, Weaknesses, Opportunities, and Threats involved in a project or in a business venture. 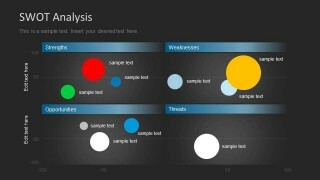 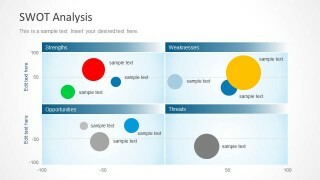 You can learn more about what is a SWOT Analysis in our blog post. 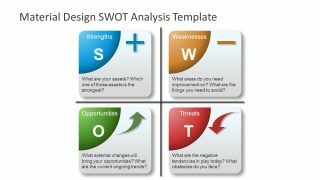 Using this SWOT matrix for PowerPoint you can represent in a PowerPoint slide the outcomes of a SWOT Analysis using an original & creative way. 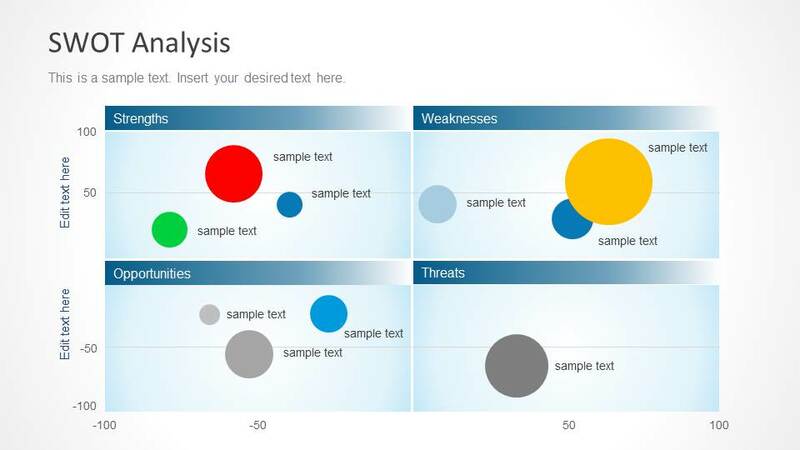 The presentation template for SWOT Analysis comes with a few slide designs with containers for SWOT matrix elements including Strengths, Weaknesses, Opportunities, and Threats plus illustrations of bubbles that help you to visualize a secondary dimension in the same slide. 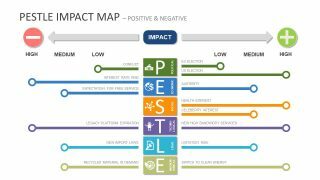 For example, you can use different sizes of bubbles to represent the market share of a given product or business unit or empathize the importance of a given strength or opportunity compared with the other ones.